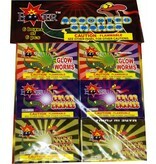 A new version of a real fireworks classic. Each pack contains six boxes with six snakes in each box. 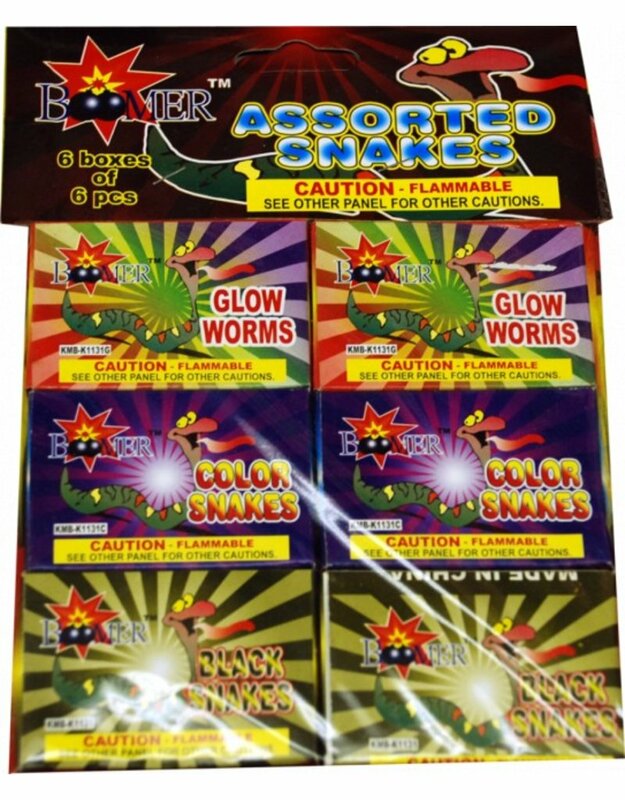 Assortment includes two boxes of black snakes, two boxes of glow worms, and two boxes of colored snakes. This family favorite offers some of the best colored snakes on the market and include; green, yellow, orange and red snake versions. Comes complete with a cardboard header which helps with the ease of displaying this item.